Ban Gone With the Wind? on June 29, 2015 at 5:30 am Comments Off on Ban Gone With the Wind? 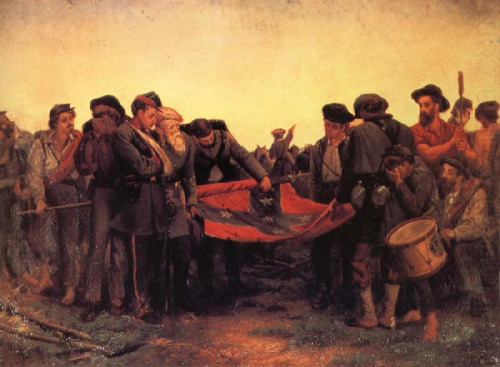 Something for the weekend: The Conquered Banner based upon the poem of the same name written in 1865 by Father Abram J. Ryan, the Poet-Priest of the Confederacy. Amazon sells a huge variety of shirts, posters, you-name-it featuring the hammer and sickle, Joseph Stalin’s mustache, all things Che Guevara, Vladimir Lenin and other colorful revolutionaries who fought to make the world a better place, man. Guevara’s book Guerilla Warfare is on sale in four different formats. In one of the worst genocides in modern times, Stalin forcibly starved Ukrainian peasants in what’s known as the Holodomor, a “terror-famine” that left anywhere from 2.4 million to 7.5 million Ukrainian peasants dead in 1933. Death of General Simon Bolivar Buckner, Jr. The final remnants of resistance on Okinawa were crushed on June 21, and the United States was stunned by the American casualties of approximately 80,000. For a nation that was becoming weary of war, this was a bitter victory. One casualty stood out: Lieutenant General Simon Bolivar Buckner, Jr, the commander of the Tenth Army, the invasion force. The product of a May-November marriage, Buckner’s mother was 29 and his father, Simon Bolivar Buckner, a former Confederate Lieutenant General, was 63 when he was born in 1883, like his father he was a West Point graduate, class of 1908. Much of his career was spent either attending or teaching at Army schools, including a stint as Commandant at West Point. 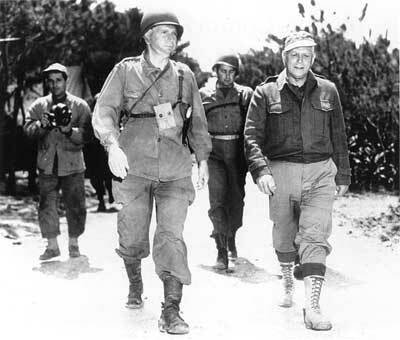 Prior to being tabbed to command the Tenth Army, Buckner spent most of the War in the Pacific sideshow of Alaska. on June 24, 2015 at 5:30 am Comments Off on Death of General Simon Bolivar Buckner, Jr. The Confederate commerce raider CSS Shenandoah, a converted steam merchant ship, steamed out of London on October 8, 1864. Her skipper was James Iredell Waddell, a veteran of twenty years in the United States Navy prior to the Civil War, and a graduate of Annapolis. Under Waddell, the Shenandoah would spend the next year at sea taking or sinking 38 ships, mostly New Bedford whaling ships, virtually destroying the American whaling fleet. The last shot of the War was a blank fired on June 22, 1865 in the Bering Strait, to indicate to a Union whaling ship the wisdom of surrender. Some of the captured Yankee seamen claimed the War was over, but Waddell assumed they were lying.